Discussion in 'Repair, Restoration, Conservation and Preservation' started by ashramkun, Jul 10, 2017. I got a original Xbox, but looks like the HDD is dead. The error code is 07. I read about try to reconnect the flat cable, but as I said, the HDD is dead, and even in a external HD case, it didn´t spin. 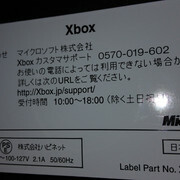 I read too that I could replace the disc if the console was softmoded, but I can not do it right now with a dead disc. And finally, I read that with a modchip, I could use any HDD. So, is my only hope a modchip? Is there something that I can do? You could replace the hdd with one from another system as long as the hardware version is the same and you have the matching eeprom. Also it's possible your hdd has a blown fuse on the logic board. I will try to check the fuses tonight. 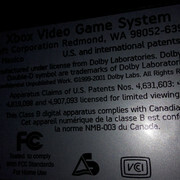 The first Xbox isn't a popular machine here, so, would not be easy to find another HDD with the same hardware version. Should I be fine If I got another normal IDE from compatibility chart ( http://xboxdrives.x-pec.com/?p=list ), extract my EEPROM and build this new HDD with XBHDM using my eeprom file? 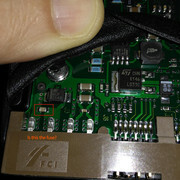 The fuse in question is on the hdd logic board and would near either the 5v or 12v line on the power connector. That is a somewhat common failure on some old western digital hdd units including the one used in the Xbox. I managed to get error 7 after trying to hotswap mod my HDD. I found hotswapping very hit and miss. In the end I used a spare 140gb (maxtor) . I extracted the motherboard's eeprom using a simple serial cable circuit. Then built a new HDD image (with softmod) using ndure and the HDD key. This is the easiest route imo. U can also use The Hexen utility disc to then flash the tsop with Xecuter firmware etc. Where are you located that xbox's are hard to come by? Here in Europe you can stack them for almost nothing. This is a Japanese unit. According this site (http://www.informit.com/articles/article.aspx?p=367210&seqNum=2) looks like its a 1.0 version. 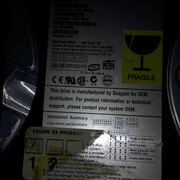 It have a Seagate HDD ST310211A. I am sending some pictures. Can I softmod a console without a HDD? Maybe if I do the same thing using XboxHDM once ndure needs a system in working condition? South America. Original Xbox here isnt common, because our market was 99% dedicated to PS2. No that is not a fuse, btw seagates don't usually have a fuse problem. I don't believe that hdd has a fuse to blow. You probably need a hard mod to fix this affordably unless you have equipment to access the ata password on the eeprom. There's also a video on how to read the eeprom after that one. Either method u use, u will still need to use the HDD security key u extracted and build a new HDD image. I used Ndure which has xboxhdm built in I think (it's been a while). Then u can put games on your HDD and unlock the region lock (using tsop flash). Installing a modchip and building a new hdd with aid would be the easiest method. Xecuter is totally out of the question here. Maybe I could get a Aladdin. Here it would be something like U$17 each. But first, I will try to make the cable to get my eeprom (already have all the material). Already got a IDE Segate 80Gb too. I will post the result soon. Thank alot for all suggestions. Tried to make the cable, and it didn't work. My console don't go into service mode as video are showing. It just keep flashing green and orange. If I put the alladin chip, the new hd would be accepted without the lock? Are u using this guide? Unplug the IDE and Dvd power cables and the console should boot flashing orange and green. Retry if it doesn't work first time. If it is still being weird then just apply 3-5v (without the Xbox plugged in!) to the power pin mentioned. U are only trying to power the eeprom so u can read it. Good luck. The Xbox is showing you that it doesn't see the A/V cable attached. Reconnect it to stop the green/orange flashing. Hello. Just a quick and a last update. My model is a 1.0, and things are a little different. 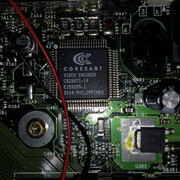 My board don't have holes to put the eeprom reader and install the modchip. And I could not find a good tutorial how to install a Alladin chip on v1.0, just a low res confuse diagram. So, back to the original plan, I could extracted my eeprom, but I was not finding a pc with IDE cables. 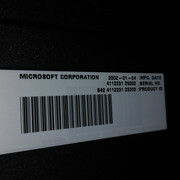 So, I used the xboxhdm USB case version (xboxhdm23usb) and I finally could revive my Xbox, even with softmod. I would like to thanks everyone that helped me. =) At least from now, the Xbox are fixed! If you don't have LPC point holes, you can hold the EEPROM reader pins with blutac or something similar. All you need to do is have something to hold it in place. Otherwise can always heat the points up and remove the solder. Yep, thats what I did. But I was talking about the mod chip installation. Looks like in the 1.0 model, the chip don't use these pins to fix the chip (once there are no holes).... instead you need to put the chip in the board and put solder to "glue it". As I said, the diagram was confuse and low res... So I just softmod as I was planning. And I forgot to mention for future reference, I needed to change a parameter in the lockhdd.bat to work with my USB case as described in this site https://www.smartmontools.org/wiki/Supported_USB-Devices. In my case, I put "-d sat" after "smartctl.exe -g security /dev/sd%1". So the result was "smartctl.exe -g security /dev/sd%1 -d sat"
The LPC header vias are filled with solder. You'd need to remove the solder with solder wick or solder sucker to open them up. Most, if not all, v1.0s were made this way. Many modchips were made as a quick solder board (QSB) to lay on top of the LPC header and tack all the points with solder to connect to the LPC contacts necessary to operate. The section on all these boards closest to the bottom of the pictures with solder pads around open slot. 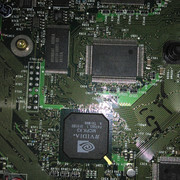 These modchips also provide installation via an header installed into the LPC debug port of the Xbox. Photos are from various sources across the Internet. Some are watermarked as to their origin. I’m waiting for my own to arrive!